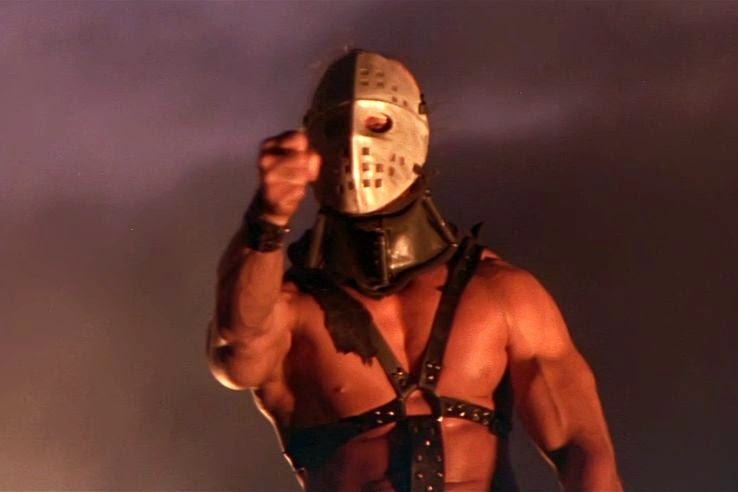 I watched The Road Warrior the other day at about four in the morning (what better way to get back to sleep than watching guys in leather speedos and goalie masks trying to kill Mel Gibson, am I right?). I’ve also picked up a couple of novellas recently which are of the same genre (the so called “post-apocalyptic”), and another story I’ve been reading (and playing, as the story is conveyed via computer game) that would be classified as “Cyber-punk.” During this whirlwind engagement with bleak visions of the future, an interesting way to put it into at least structural perspective occurred to me. I will now share it with you. May it aid you should you ever find yourself in a similar situation. The state of moral civilization. A story set in the future can be relatively optimistic or pessimistic about either of these things. Star Trek (the original series, accept no substitutes! ), for instance, is optimistic about both. It posits a future in which, not only can we cure the worst diseases, get near instantaneous access to relevant information, travel many times the speed of light, etc. but, people are also happy, well adjusted, and fulfilled (so they seem to say, anyway). ...Or having to eat at this Chinese restaurant? Blade Runner is optimistic about technological civilization, but pessimistic about moral civilization. In it, we can build animals and people from engineered parts, our cars fly, we have off-world colonies, etc. But, we build animals because we’ve pretty much killed all the natural ones, everyone but one depressed cop and a superrich old guy seem to live in squalor, and we frikin’ build people from engineered parts, give them tiny lifespans, and make them our slaves; extreme technical proficiency, deep moral degradation. Ah, the Mad Max movies (Mad Max, The Road Warrior, and Beyond Thunderdome). Here we have the “post-apocalyptic genre” pretty well distilled; pessimism all around! On the technological front: we use technology to destroy most of the technology itself and most of us along with it. On the moral front: then, (nearly) everyone left fights, betrays, and kills everyone else to survive in the blasted wasteland that remains. Yep, that pretty much describes it. One of the benefits of exercises like this is that it can suggest new possibilities. This is the last possible combination logically, given our two factors, but I’m not sure I’ve ever seen or read anything that fits it. It’s true that the Mad Max movies hint at people living good lives. In Road Warrior, the people Max ends up helping are trying to go somewhere stable enough to build some kind of life. And, at the end of Beyond Thunderdome, the kids Max saves represent a possibility of building something healthy that might grow, in contrast to the crumbling and degraded Bartertown. But, these are only little hints. They may be the light at the end of a long, long tunnel at which the stories point, but if we’re going to stretch and call that optimism we might as well point out that there could be any number of peaceful small towns in the world of Blade Runner that we just don’t see. The stories themselves are full of misery and death and whatnot, and the moral (as well as technological) ruins are the furniture of the films. If any of y’all have found a story that treats the hopeful, character building possibilities of near human extinction and the destruction of most modern tools and infrastructure, please let me know in the comments. I’d like to hear what you have to say. I don’t deny the potential value of the first three forms of futuristic literature. They can help us think about how the future should be and how it shouldn’t be, and even about how the present is. But, this fourth possibility intrigues me because such a story would be about freedom from modern constraints, not as a freedom from responsibility and permission to run a leather-clad, grizzled muck, but freedom to shape and govern the world with dignity, free of already entrenched and corrupt institutions. Such a story would probably be about a lawmaker (like Solon or Lycurgus) arising after World War III. Pretty sweet idea. If you want to snag it, consult me first; I might attempt such a story. If you are still planning on writing a good story with technological pessimism and moral optimism you might want to think about some of the freeing aspects of camping, they might be relevant to your story.